Without a doubt, Discovery Green has set a new standard for parks in our city. It has become such a rich and vibrant part of Houston’s culture that today it’s difficult to imagine our city without its delights. Discovery Green’s 12 acres offer 11 gardens, four water features, two restaurants, two outdoor events venues, two outdoor market areas, a performance stage, two dog runs, two bocce ball courts, two outdoor library reading rooms (complete with library services and wi-fi), a putting green, a playground, a jogging trail, and a shuffleboard court. 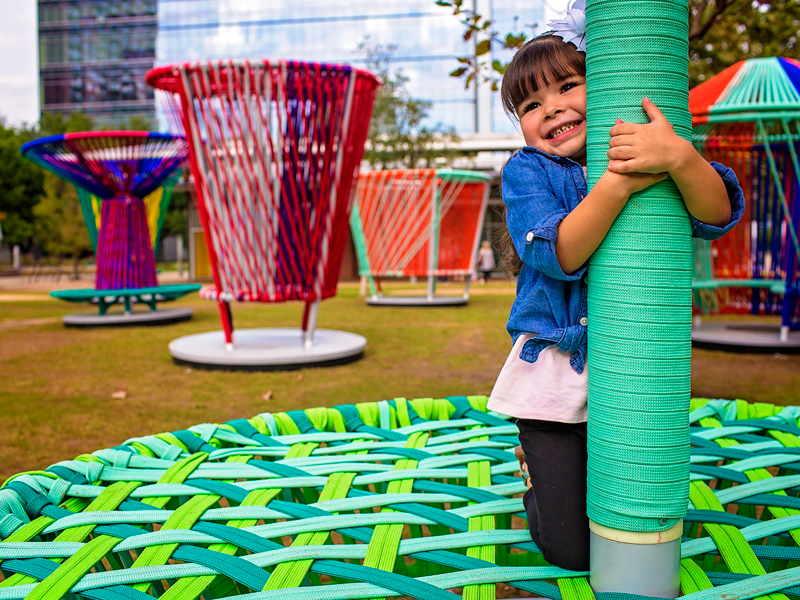 Beyond the undeniable aesthetics of its dynamic and versatile 12 acres, the impact of Discovery Green’s immediately being well-loved and consistently well-used by Houstonians has caused waves of positive energy across Downtown and all of Houston. Since its debut in March 2008, the park’s now-iconic footprint (resembling a cross between a space capsule and a funnel) has served as a vast renewable canvas for countless memorable experiences, and, yes, discoveries for Houston-area residents and visitors. All while achieving the pure and simple goal of becoming Houston’s backyard. 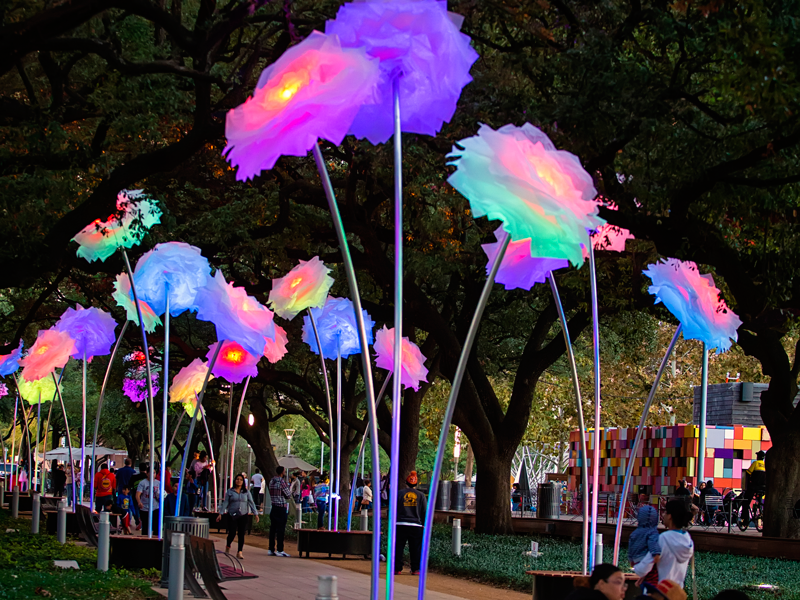 Houston’s diverse citizens make up the color palette that turned the park into a vivid, lively scene that gets renewed and reinvented each day in a variety of themes from serene to spectacular. 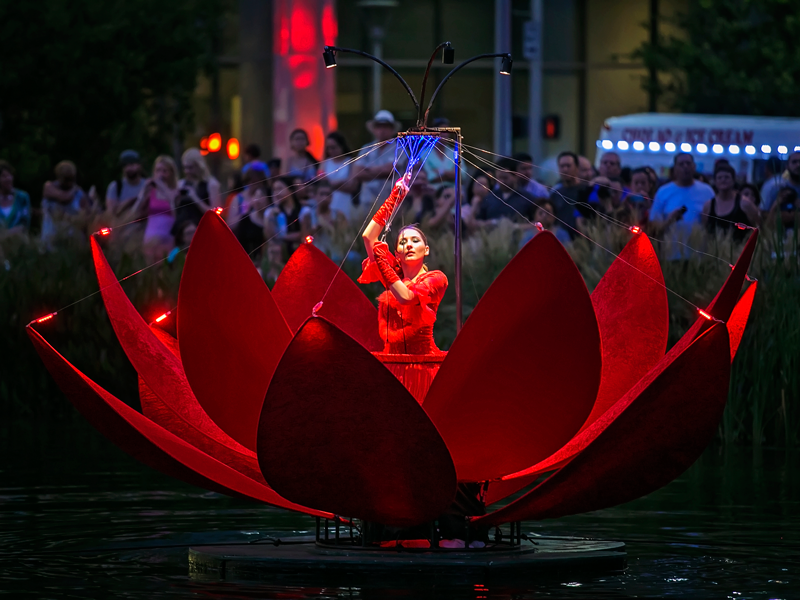 If the park is a canvas and the people comprise the color palette, then the programming is the paintbrush that sparks the individual imaginations of Houston diverse people and brings them to the park. 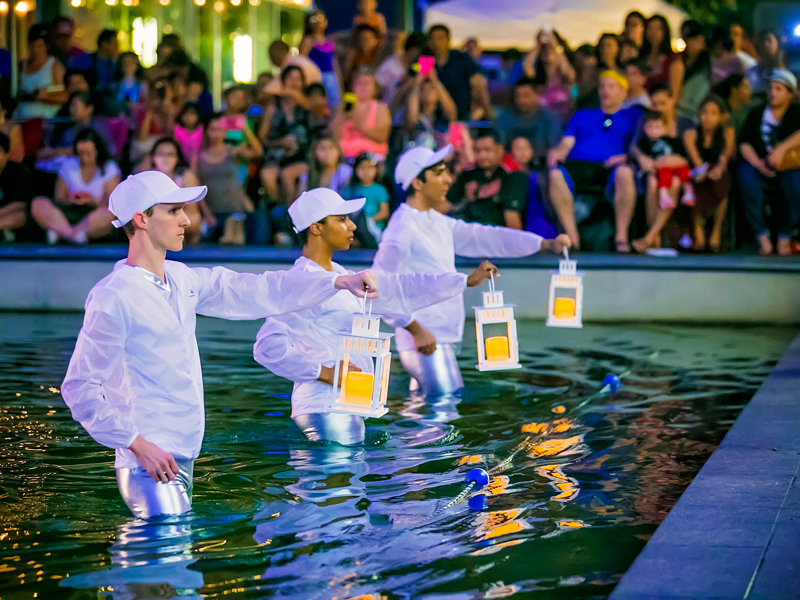 The fascinating spectrum of events, exhibits and performances has captured the hearts of many and keeps them coming back. 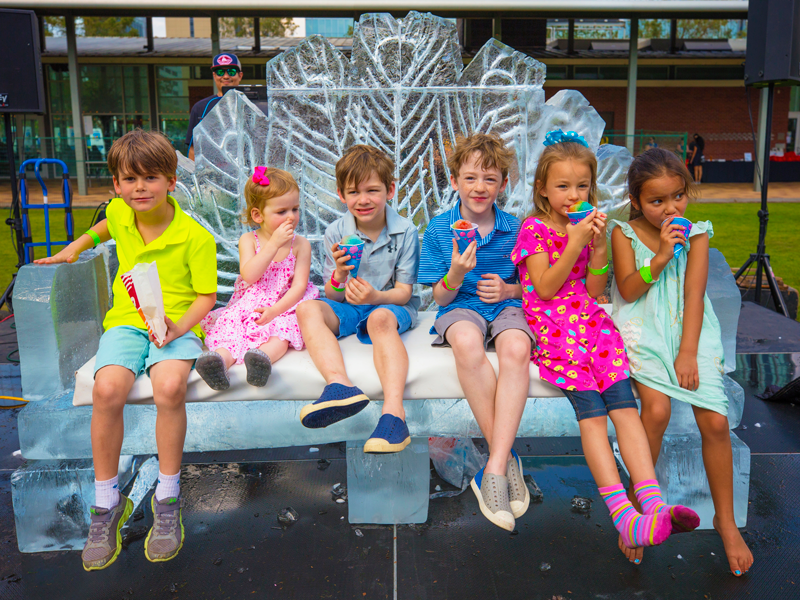 “There’s not a day goes by that I don’t say, ‘Wow, it’s more beautiful than before,’” says Susanne Theis, who has served as Discovery Green’s programming director since before it opened. Mandel cites the parks programming as one of the biggest factors in Discovery Green’s success. “I have one of the most creative people in the world that I get to work with every day,” says Mandel about Theis, who for 25 years was executive director at the Orange Show Center for Visionary Art, overseeing the quirky folk-art venue and the wildly popular Art Car Parade. “Her history of grass-roots relationships in the Houston arts community helped set the stage and the standard,” says Mandel. The founding board of directors put their time in doing their due diligence, says Mandel. “They looked at best practices of other parks in other places, researched the best operational approaches and made the commitment to include community input into the design,” he says. “That gave the community an instant sense of ownership. The board, equipped with a combination of deep pockets and deep commitment, collaborated with then-Mayor Bill White, acclaimed project manager, and Discovery Green’s first park director, Guy Hagstette and the urban planning drive of Bob Eury, executive director of the Downtown District, to realize their vision. As the staff fell into place, the board was elated. “From Guy Hagstette and Susanne Theis, and then later Barry Mandel, we knew we had found the perfect people for the project. They just lifted it up and went with it.” says Jackie Martin, founding board member and former president of The United Way of the Texas Gulf Coast. Additional founding board members were Nancy Kinder of the Kinder Foundation, Maconda O’Connor of the Brown Foundation and Brady Carruth of the Wortham Foundation. 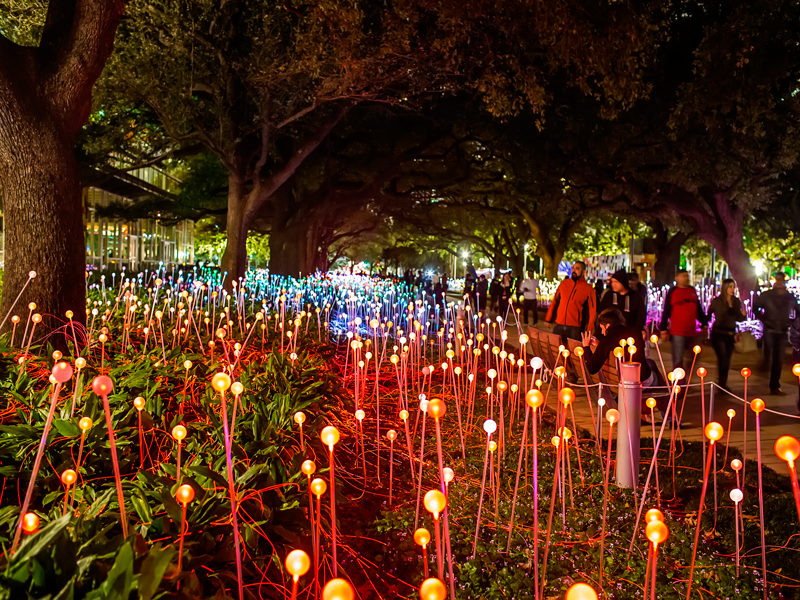 Then known as the Houston Downtown Park Conservancy, the pioneering board consulted Project for Public Spaces for guidance on the composition of the park. “One of the subtle things they discovered in their best practices research was the need to create a place where the businessperson taking a break could sit next to the mom and kids,” says Theis. Taking an urban planning approach that centered around people, the board settled on its mission to create a village green on the 12-acre site. They visualized an appealing public space with remarkable public art moments, capacities for hosting health and wellness activities, arts and culture activities, including performances, exhibits and learning opportunities – all with strong considerations for environmental sustainability. 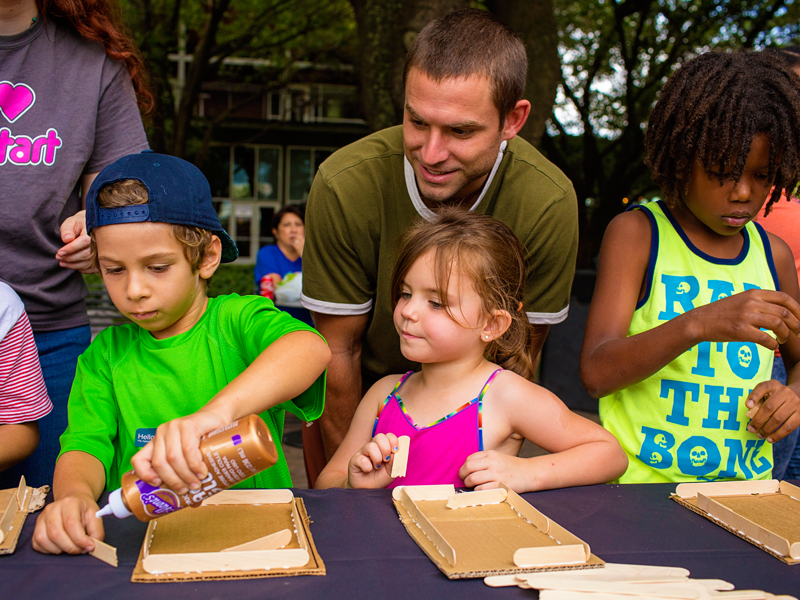 The board’s directive to create moments of wonder and joy for park visitors is an early goal that Mandel and Theis say continues to drive the work they do every day. That sentiment resulted in the name of the park. When the public was called on to suggest names for the new Downtown destination, Houstonian Kim Borja submitted “Discovery Green.” He explained that the word “discovery” was inspired by watching his two sons experience moments of discovery at neighborhood parks and he chose the word “green” because he wanted something other than “park” in the name. 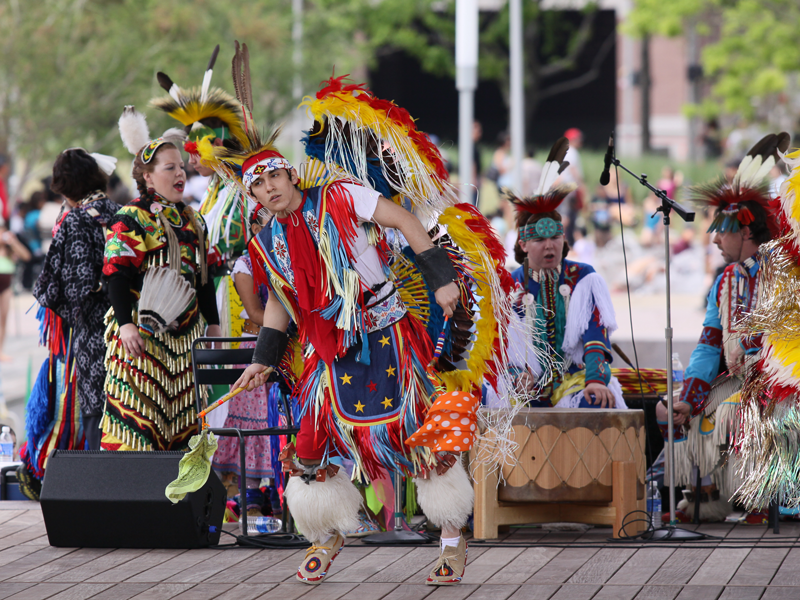 The stage at Discovery Green invites Houstonians to enjoy free concerts of all kinds, spoken word performances, and movies and dance performances that represent a diverse array of cultures and disciplines. 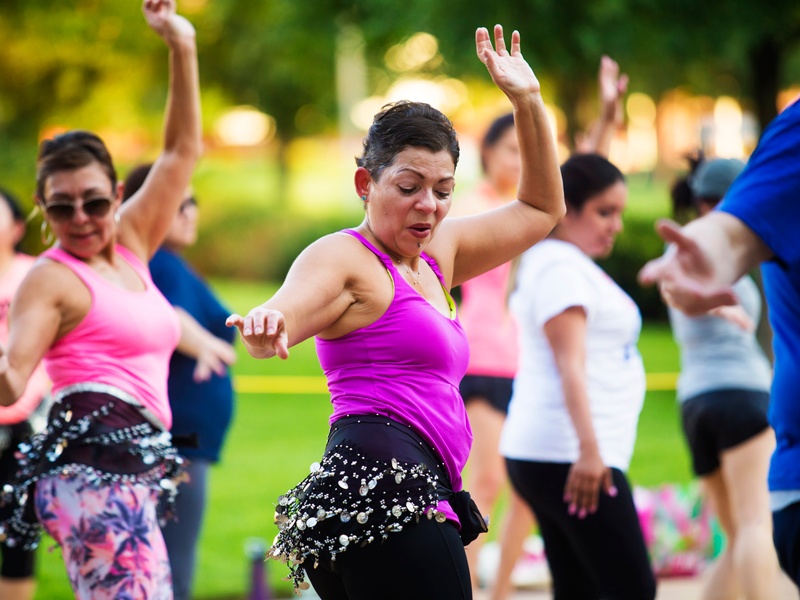 Across the park visitors can experience youth poetry slams, Toddler Tuesdays, evening flea markets and Recycling Saturdays, and workout classes, such as Zumba and yoga. And there’s the joy of an outdoor ice rink throughout the holiday season and an outdoor roller rink during the spring. The park hosts special events, such as the FUNomenal Family Festival and festivities for major sporting events, such as the NCAA Final Four and the Super Bowl. Even with all of this programming, Discovery Green is still a peaceful spot to pause, especially during weekdays. If all those events sound typical, try to keep in mind such rich programming was a rarity in Houston pre-Discovery Green. Since the park opened in 2008 it has influenced other parks across the city and the country. Discovery Green led the way for Houston-area parks, ranging from the renovated Market Square Park in Downtown’s historic Market Square neighborhood, to the recently built Levy Park in the Upper Kirby District and Evelyn’s Park in Bellaire, and the reimagined Emancipation Park in Houston’s Third Ward. “We receive calls almost daily from local, national and international groups who want to know how they can do the same in their area,” says Mandel. Like filling in a page of an urban designer’s coloring book, the vibrancy of the park has spread to block after block of the surrounding district. 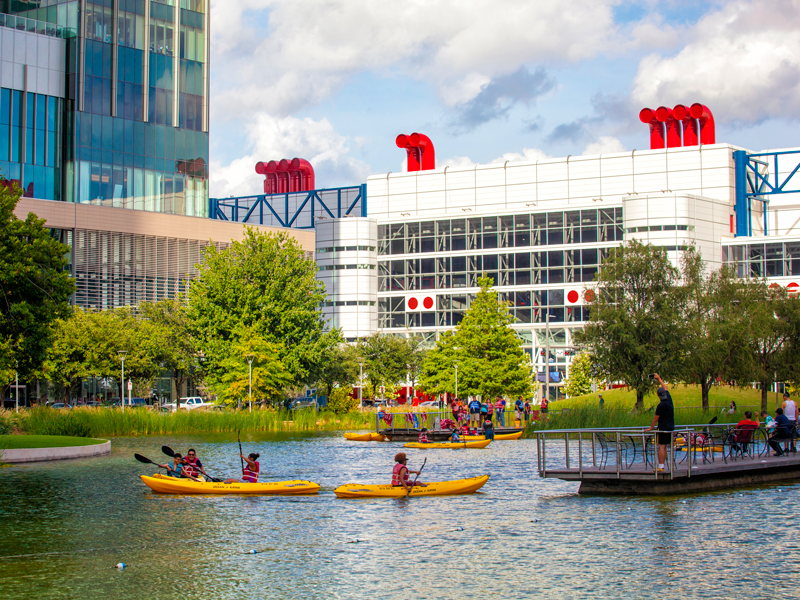 The human element that Discovery Green’s delightful happenings draw Downtown spurred game-changing commercial real estate development. Luxury residential tower One Park Place, opened in 2009 and brought with it Phoenicia Specialty Foods. Hess Tower, which debuted in 2011 and sold for a record-breaking $442.5 million, set records at the time for highest dollar amount and highest price per-square-foot paid for an office building in Houston. Other key properties surrounding the park include the Embassy Suites Hotel (2011), the lavish Marriott Marquis (2016), which includes Chef Hugo Ortega’s Xochi, and Partnership Tower (2016), home to the Greater Houston Partnership and Houston First Corporation. 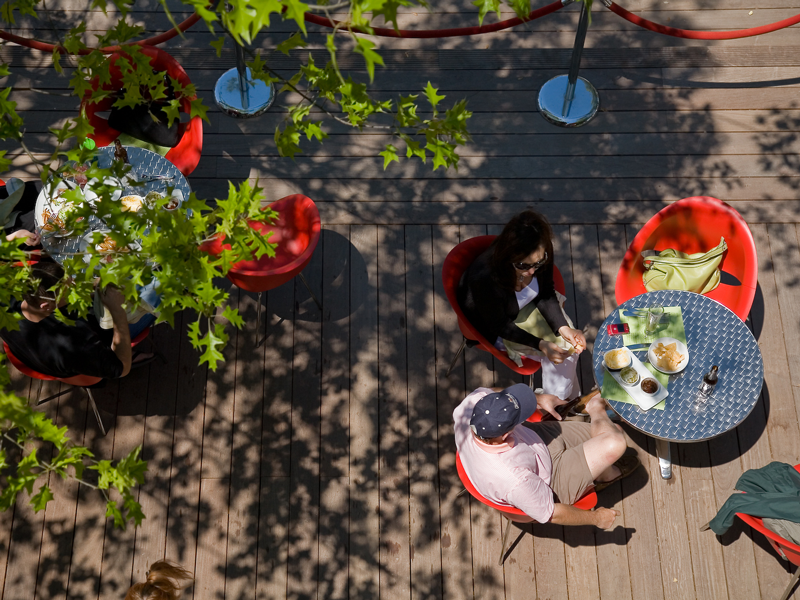 All told, Discovery Green has witnessed approximately $1.2 billion in new construction since it opened. “The development of the park only cost 1.25 million - that’s a 10-fold return,” says Mandel. 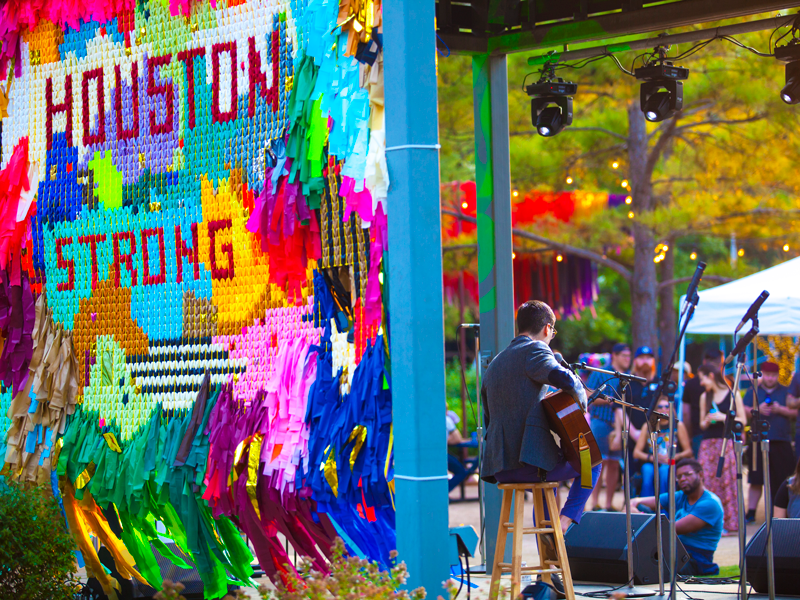 On the heels of Discovery Green’s successful launch, Market Square Park’s renovation and reinvention helped usher in a new wave of development in the oldest pocket of Houston. Reopened in 2010, Market Square Park, though on a much smaller scale, follows the functional flexibility and event programming of Discovery Green, and has been equally catalytic to its neighborhood in the north end of Downtown. With two flourishing parks providing neighborhood allure, the Downtown Living Initiative, approved by Houston City Council in 2012, opened the gates for residential developers. The initiative had a cap of 2,500 units but was expanded up to 5,000 in 2014 and quickly maxed out by 2015. As of the first quarter of 2018, Downtown now has more than 5,900 residential units, double from just two years ago. The changing landscape has not only sparked new residential development, but also the construction and redevelopment of major office towers with a new focus on street-level design. Buildings such as 609 Main include sidewalk-facing restaurants and coffee bars. Even the massive ’70s-era Allen Center – on the west side of Downtown from Discovery Green – is being reimagined with a full acre of activated green space between its buildings, a two-story glass façade and a signature restaurant. Four Downtown restaurants made Alison Cook’s Top 100 restaurants for 2017 – Xochi, Theadore Rex, Oxbow 7 at Le Meridien, Lucienne at Hotel Alessandra and Potente, next to Minute Maid Park. The Houston Chronicle food critic noted when she announced her list that Downtown wasn’t historically known as a dining destination, but a lot has changed in recent years. Back in 2011, a new master plan for the convention center was developed. Top priorities were developing more hotel rooms and a safe, walk-able area immediately adjacent to the George R. Brown. “In developing, debuting and delivering the quality of the park and its programming year-after-year we’ve reminded others how to dream,” says Martin. After 10 years of use, the park staff and board have lined up various improvements. Among those are an update for the playground, additional LED lighting now that the tree canopy has grown and an expansion of the women’s restrooms. The corners of the park will soon feature distinctive markers to help announce the park to pedestrians.